A monolithic cluster of concrete silos on the Cape Town waterfront is the subject of a dramatic surgical intervention. The industrial relic will be transformed by Thomas Heatherwick into an art museum planned for the city’s V&A Waterfront. 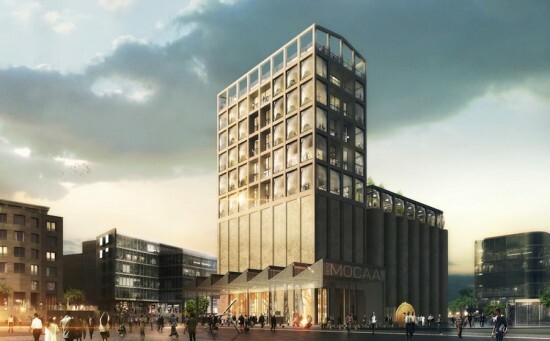 The project entails the conversion of the grain silo complex into a new space to house and display the Jochen Zeitz Collection, an assortment of art that will act as the foundation for Zeitz MOCAA a non-profit institution dedicated to contemporary art from Africa and its diaspora. Rather than attempt to grapple with the unwieldy nature of the extant structure, Heatherwick elected to embrace its”tubiness.” The cluster of cylindrical spaces will remain largely intact while a towering glass-roofed museum atrium is carved out from its interior, resulting in a curvaceous irregular honeycomb form denoting an egg-shaped void. Surrounding bins will be filled by smaller galleries or re-purposed as elevator shafts and spiral stairways. Paint will be stripped from the exterior of the silos to expose the structure’s original concrete. Other alterations to the building are relatively minor. A restaurant and sculpture garden will be placed atop the roof. Curved glazed panels will be inserted into some of the more rectilinear portions of the exterior. These subtly bulging additions are meant cast Zeitz MOCAA as a “glowing lantern or beacon for the harbor” by night. 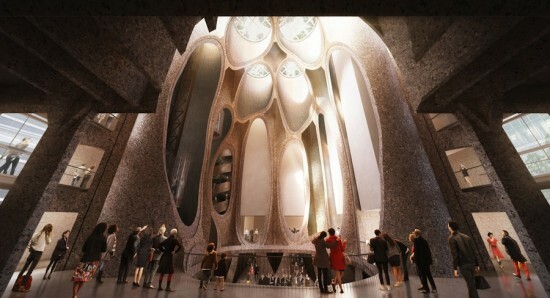 Heatherwick Studio will collaborate with South African firms Van Der Merwe Miszewski, Rick Brown Associates, and Jacobs Parker Architects to realize the museum. 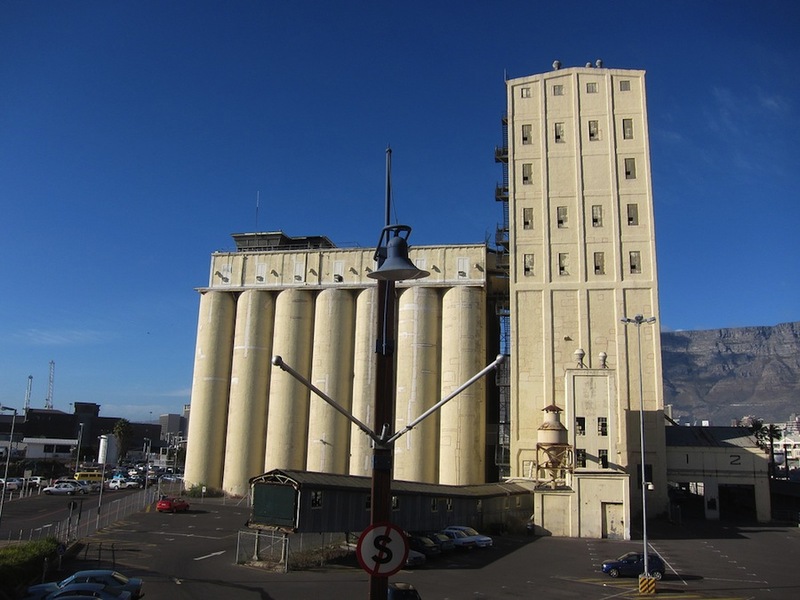 The decision to preserve much of the silo complex may go a ways towards tempering local concerns regarding the direction and scale of the development of the waterfront. The plans for the museum were revealed at Design Indaba, an annual design expo held in Cape Town. Heatherwick will also be contributing a large fountain to Manhattan’s in-the-works Hudson Yards development.